During his 80st birthday concert in The Roma in Antwerp Jack was given an award by the “Sabam”. The “Muze van Sabam”. 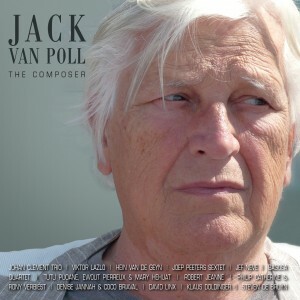 In honor of jack van Poll’s 80th birthday (29-11-1934) I decided to compile this album. Not simple focussing on his musicianship but also on his amazing skills as a world-class composer. I reached out to an electic group of Jazz musicians and asked them for their musical impression of jack’s compositions. The result of those recordings is this unique musical gathering of friends bringing his tunes to life.